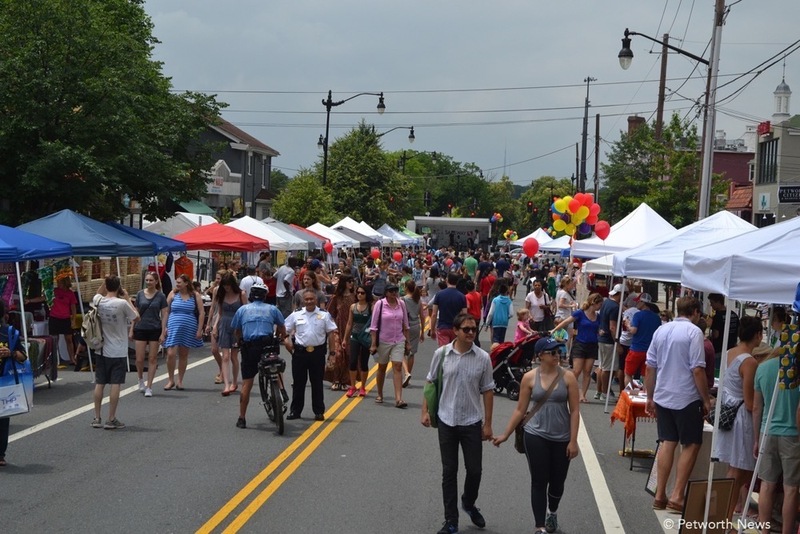 Celebrate Petworth is a free neighborhood festival organized by and for the residents of Petworth and surrounding neighborhoods, celebrating the creativity, diversity, culture, people and quality of life of our wonderful neighborhood. Our neighborhood appreciates our sponsors! It costs thousands of dollars to close a street in DC, pay for musicians, sound equipment, tents, chairs, security and more, and it's because of the amazing sponsors who support Celebrate Petworth that our neighborhood can put on this great Festival! Petworth has a long history of being a residential neighborhood where people buy homes, raise families and work to create a community. Come hear local residents and historians talk about DC and Petworth. From a Choral group, to an award ceremony with the DC Mayor to a Dog Show and back to more music, the Main Stage is filled with events all day long during the Festival. 4 Bands. 4 Hours. $5 beers & cider. Perfect. Petworthpalooza is a free music show made up of local DC and Petworth-area musicians, hosted by Drew Schneider from Petworth News. We're looking for volunteers to help with the festival! We're working hard behind the scenes to get the Celebrate Petworth Festival set up. If you have any questions, contact us!